The winner of the Lifetime Achievement Award and 2015 Hall of Fame inductee will be announced shortly—stay tuned! 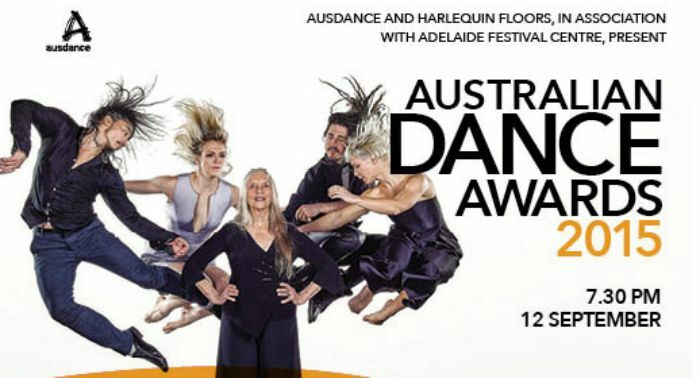 Presented by Ausdance SA and Harlequin Floors in association with Adelaide Festival Centre, the 2015 Australian Dance Awards will be held at Her Majesty’s Theatre in Adelaide on Saturday 12 September at 7.30pm. Tickets on sale through BASS outlets and Adelaide Festival Centre now.